The 50th Surprise Birthday Party I had for my husband at Banquet 49 was wonderful. The venue was nice the bathrooms were clean and there was a kitchen we could use if we needed to. The owners were nice and very professional. This will be my event venue from now own. I worked with Lisa who was extremely accommodating! 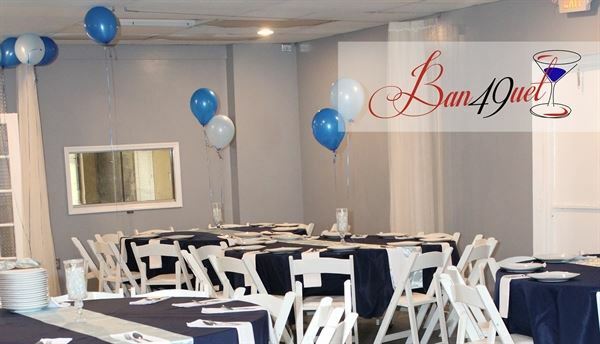 This venue was perfect for a large baby shower (60+) guests expected. It allowed us the right amount of room with the perfect amount of tables/chairs to accommodate all our needs. I would highly recommend!